TALK: Neuroscience is on the cutting edge of decoding brains, making it possible like never before to peer into brains and hijack their circuitry. In this talk, we will explore how old and new technologies make it possible to read visions and dreams, hack thoughts, and plant false memories. We will also look at how modern medicine and science make it possible to restore and enhance function to people who are paralyzed, opening the door to digital and robotic control with the human mind. Neuroscience is on the cutting edge of decoding brains, making it possible like never before to peer into brains and hijack their circuitry. 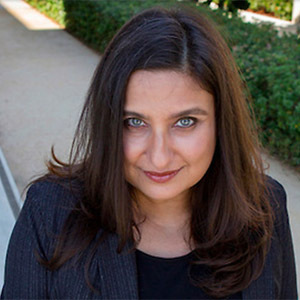 BIO: Divya Chander is the Chair of Neuroscience at Singularity University. Her areas of expertise are medicine, neuroscience and ethics. Dr. Chander is a physician and neuroscientist who trained at Harvard, UCSD, UCSF, and the Salk Institute. She has been on the Anesthesiology Faculty at Stanford University since 2008 and Neuromedicine Faculty at Singularity University since 2010. Her postdoctoral training in optogenetic technology was conducted in the laboratories of Karl Deisseroth and Luis de Lecea at Stanford, where she used light-activated ion channels inserted in DNA to study sleep and consciousness switches in brains. In the operating room, she applies EEG technology to understand what human brains look like when they lose and regain consciousness, and has recently developed a precision medicine initiative aimed at understanding genetic variability in responses to anesthetic drugs. Her goal is to understand neural mechanisms of consciousness and eventually utilize this knowledge to develop improved algorithms to create better brain monitors. She is currently working on applications of neural wearable devices to crossover consumer and medical markets.